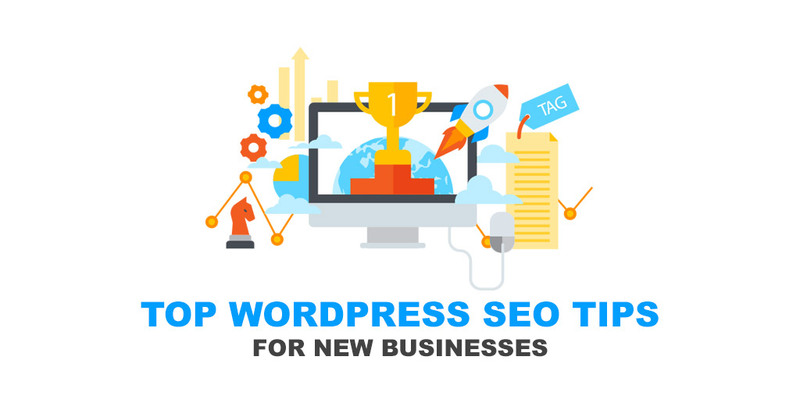 Top WordPress SEO Tips for New Businesses - WOW - Connect with ServerFreak "Best Hosting Provider in Malaysia" WOW – Connect with ServerFreak "Best Hosting Provider in Malaysia"
For new business or website owner, Search Engine Optimization (SEO) can seem to be a complex and foreign landscape, but it doesn’t have to be too complicated. In fact, there’s many small businesses (and anyone) can do without any great SEO knowledge, and without spending too much money. The Yoast SEO is widely regarded as the most famous WordPress SEO plugin. There are free and paid versions of this plugin. For the free version, it provides control over your titles and metadata, breadcrumbs, social links, permalinks, XML Sitemaps and lots more. However, the enhanced features of this plugin such internal linking suggestions and Content Insights can be unlocked only in the paid version. For a start, the free version of Yoast SEO is deemed sufficient enough for any new website unless you want the full bells and whistles of the SEO features. The free version allows you to type in the keywords you wish to rank for a particular piece of content. The plugin will check whether your keywords density is satisfactory or excessive, or placed in the right position of your article content. It will also offer advice on what to improve in order to boost your website ranking in the eyes of the search engines for specific keywords. This type of plugin is works differently compare to Yoast SEO. Why? That’s because Local SEO focus on the optimization process for the local results in search engines. That means the plugin takes care of your websites visibility in Google Maps. You should consider installing to Yoast’s Local SEO for WordPress premium plugin if you have a local business with physical premises. Another option is installing Yoast’s Local SEO for WooCommerce if you are running an eCommerce store alongside your brick and mortar shop. The benefit you gain from installing this plugin is that it helps you rank in the search engines for local searches, as well as enable you to easily insert Google Maps, contact info, a store locator and opening times into your WordPress website. Try performing a search on “Serverfreak” on Google and you shall see our company working hours, office address and Google Maps location. Performing keyword research is definitely vital for new businesses. As a new business owner, you need to identify what your potential clients or customers are searching for online. Once these keywords have been identified, you can prepare or start writing your content, so your site ranks for these terms. Alongside with proper keyword optimization, these visitors will come across your site in the search engines when someone searches using these keywords. In order to identify which probable keywords your visitors enter into the search engine, you need to use a keyword tool such as the Google Keyword Planner, which is a popular tool that allows you to type in keywords that are associated with your business. It will inform you about the monthly and yearly searches for these particular words. Another important feature of Google Keyword Planner is it helps to find related phrases or keywords associated with your original keyword. You should then try and use these relevant keywords in your content to help your site rank for a variety of popular keywords that are compatible with your niche. Link building is definitely an important action that cannot be simply ignored when it comes to ranking a website. It is an important factor in the Google algorithm for ranking websites; therefore you need to add links to your site, both internally and externally. Over time links will organically happen, but as a new business you should also plan for how to receive links initially for your WordPress site. To help improve your website ranking in the search engines, adding internal links to your website is certainly a must. Internal links allows Google to find your site, identify and rank content. Internal links also make it easy for your visitors to find content and help increase the time that they spend on your site. Wherever makes sense to link pages and posts, take advantage of this opportunity to add internal links to your WordPress website. As an example, you may include link to other relevant blog posts within an article. Another example is from your home page, link to pages where you want your visitors to go next. Gaining external links is referring to getting links back to your website from large, reputable websites. By link association, Google will determine that your website is important and this will help it rank in the search engines. Writing guest post on other sites is a great way to generate links back to your website. You can do this by contacting other sites in your niche, similar businesses, industry online magazine and news sites, and any other relevant websites you can find. By writing guest posts for these sites you can leave a link back to your own site. A blog also allows your site to grow. This can be achieved by adding interesting and valuable content that will attract new visitors and recurring users. You may consider uploading different types of media, like video, podcasts, and webinars onto your blog in order to appease different audiences. Increasing the traffic to your website will be great to your business but increasing visitor numbers or website hits will also help with your website rankings. To grow your blog and increase the chances of your blog getting ranked for numerous keywords, you can write each blog post targeting different keyword. This will allows your site to rank for a selection of varied keywords, and consequently reach a wider audience. The more interesting and diverse content you posts, the more likely you are to connect with new users. Another method to optimize your website for the search engine is to ensure that your WordPress site is performing to the highest level in terms of loading speed and user friendliness. Search engines reward websites with higher position especially those that load quickly and provide a seamless user experience. If you want your site to earn higher position in the search engines, then you need to ensure your website’s loading times is short. You may want to use Pingdom website performance management service if you are unsure how well your site is performing. The free version of this service will allow you to monitor how fast your site is loading. Pingdom is able to produce comprehensive reports to help you understand what type of content or files that are reducing your website loading speed and what you can do to improve load times. If you want to monitor your page speed on an ongoing basis, you may consider upgrading to their premium service. There are 2 ways to improve your site’s speed – themes & plugins selection and choice of hosting. Firstly, look carefully at the theme and plugins you are using. A modern, fast loading theme such as WP Total, will immediately impress the search engines and help your site rank. Installing a few different plugins to your WordPress website such as caching plugin, image optimization plugin and lazy load plugin will improve your site’s performance and help you gain favour with the search engines. Secondly, hosting your WordPress site on a high-quality web host is equally important. With the old saying ‘you get what you pay for’, definitely rings true. If budget is not a concern to you, always choose a high end hosting company like Serverfreak. ServerFreak web hosting offers WordPress Hosting plans which have an impressive track record, providing fast loading times for the numerous websites they host. If you want your WordPress website to rank well in the search engines, therefore it’s important to use a mobile responsive theme on your website. Mobile responsive themes are now easily available in the marketplace, so it is wise to spend some money in getting one of these for your website. However, for those using an older theme, and are not yet ready to upgrade, then you need to install a plugin that optimize your site for mobile devices. One of these plugins is called WPtouch which is a free and extremely popular WordPress plugin. When accessed by smartphone or tablet users, this plugin will automatically enable a mobile-friendly version of your website with ease. A Pro version of this plugin is also available offering a variety of enhanced themes and providing you further control over the features and functionalities used and displayed. Another method is to utilize Google’s Page Speed Insights tool that checks how well your site is performing on mobile devices. Simply type in your website and Google will give you a score out of 10 for your site’s mobile performance, and recommendations on what to improve. For many new businesses, most of them don’t have the time needed to dedicate to SEO. If this is the case, and you have the budget for it, then it makes sense to bring in an SEO professional to help optimize your website. Hiring an SEO expert can be a great way for a new business to jumpstart their way into the search engines. Just make sure you do your research carefully before hiring. However, if you have limited capital for SEO professional service, you may consider the above tips in order to improve your WordPress website site ranking in the eyes of the search engines.